This happy, family event was quickly followed by the ‘all hands on deck’ Vendange, or grape harvest, a truly joyful, sunny event in Provence. 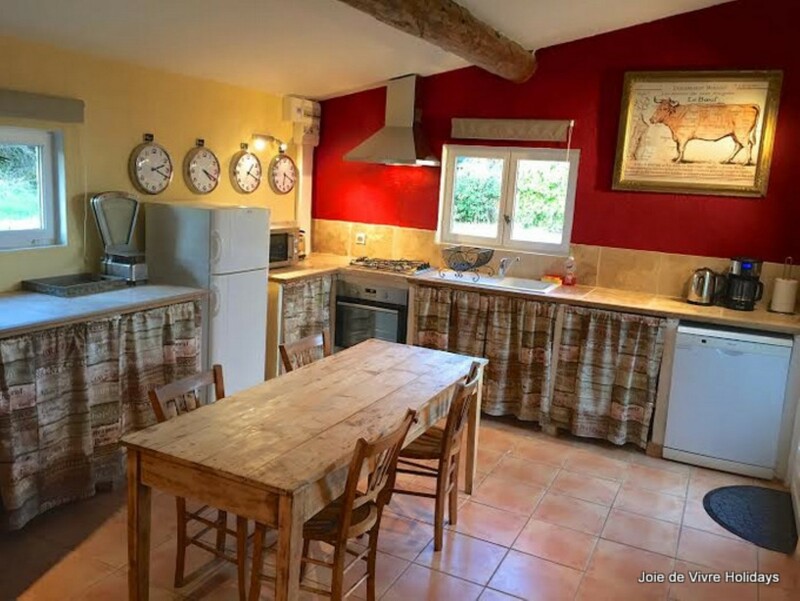 Our previous guests at Gite St Sophie will remember that the rental home is surrounded by vines. The one bedroom house, with a private pool, is the perfect place to relax. 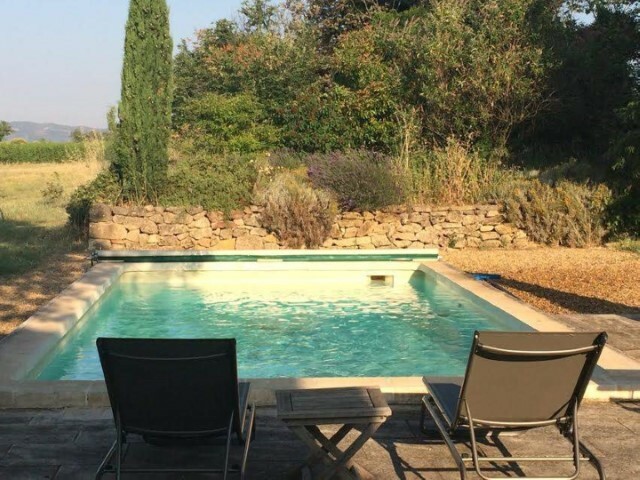 The location, just 3 km from the pretty town of Pertuis, is an ideal base for visiting the local villages such as Bonnieux, Gordes, Oppède, or the market at Coustellet, or Lourmarin. Each September Marielle and Jean-Louis are joined (voluntarily I’m told…) by their family and close friends to harvest their grapes in the traditional, old fashioned, way. 6 of the 17.3 acres of their Luberon land is under vine, a mixture of red (Cabernet) and white (Grenache, Blanc Roussanne and Vermentino) grapes and with this year’s crop they have decided to only make Rosé wine. The remainder of their land is planted with 180 olive trees (be sure to try their amazing olive oil if you visit) and the rest is flowering meadow. The harvest is not work for the feeble; once the grapes have been hand-picked the traditional Crusher is used to separate the stalks from the fruit and crush the grapes. The next step is the Press and the extracted juice goes into a tank to be clarified. Just a few days later, after changing tank, yeast is added to help along the fermentation process and then the wine is left, under temperature controlled conditions, until February, when it can be bottled. Jean-Louis and Marielle don’t sell their wine commercially; instead it is enjoyed by friends, family and often our guests at Gite St Sophie. Once the work is done, Marielle says they love reflecting on the fun, labour and adventure of the harvest, no two years are the same.